This magnificent 3 bedroom, 2.5 bath home is located on the University Club golf course! 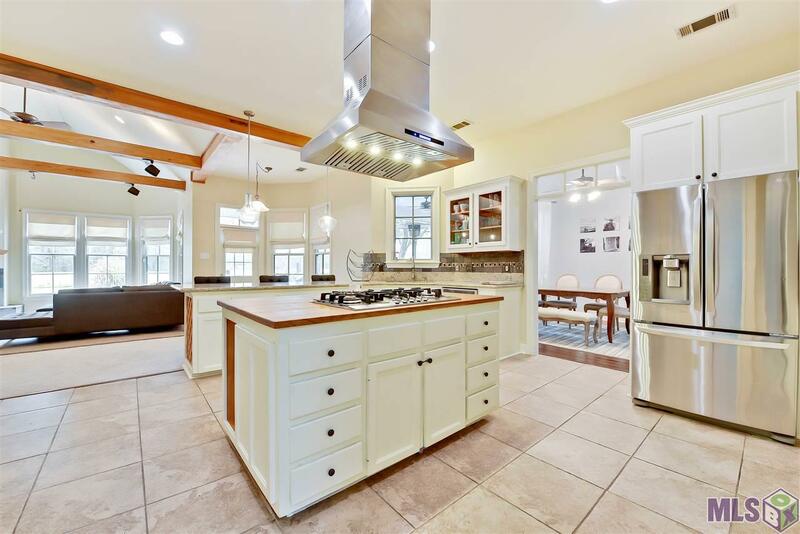 Upon entering the home you will notice the amazing kitchen, featuring granite countertops with bar seating, a large island, and ample storage space. Also in the kitchen area is a walk-in pantry! The living room boasts gorgeous exposed beams and a cozy fireplace. A jetted tub, multi-head shower, double vanities and two walk-in closets await you in the master suite. You will love coming home to the lovely backyard with a large patio perfect for entertaining. This beauty is sure to please with its spacious bedrooms and lovely features. Call today for your private showing! Interior: Ceiling 9&apos;+, Ceiling Fans, Elec Dryer Con, Elec Wash Con, Gas Dryer Con, Gas Stove Con, Inside Laundry, Sm Window Trtmt.